As computers and various digital devices become increasingly integrated into almost every aspect of our lives, the ability of governments to survey and track the online activity of its individual citizens has also grown. After the revelations about PRISM last week, Canadians will perhaps be less surprised to hear about the extent to which the Canadian government is engaged in surveillance of its citizens, both on and offline. Almost anything that a person puts online can be accessed by government officials. They can scan Facebook pages and emails, and this information can be both stored and shared amongst departments in the government. 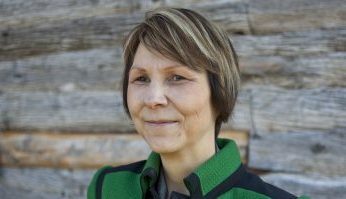 The Canadian government is by no means an exception, and in the case of Cindy Blackstock, it exercised all of its surveillance powers. A lifelong advocate for aboriginal children’s rights, Blackstock is the Executive Director of the First Nations Child and Family Caring Society of Canada. As part of her fight to improve funding of First Nations child welfare, Blackstock formally filed a human rights complaint against the Canadian government in 2007, claiming that the ruling to decrease the funding for aboriginal child welfare services was rooted in discrimination. Blackstock later discovered that the government, in response to these complaints, had begun to track her movements. Under the right guaranteed by the federal Access to Information Act and the Privacy Act, Blackstock requested to see her government file. When she received it 18 months later, she was perturbed to find that it consisted of hundreds of pages documenting personal information and activities, such as social conversations from her private Facebook page, her Indian status registry containing details about her family, and evidence that government officials had followed her to a number of her public appearances. What is more, these documents were being passed around by many people; her everyday life was being followed by up to 189 members of government staff. On May 28, 2013, after more than six years of surveillance, Canada’s Privacy Commissioner found that the government had been wrongfully spying on Blackstock. Unfortunately, her case is by no means unique: Sean Bruyea shares a similar story with Blackstock. A veteran of the First Gulf War, Bruyea fought a government charter that sought to give wounded veterans a one-time payment of $250,000. They soon after began surveillance of him, even going as far as to examine and exaggerate his mental health records to attempt to discredit him in court. Here is a joint timeline of Blackstock’s and Bruyea’s history under government surveillance. You can find the original article from CJFE's Review of Free Expression below, or download the full PDF of the Review here.